According to a Wiki page from Vuze, there are only 29 out of 180 ISPs in the world today that are considered as “good” which means they do not cause trouble for BitTorrent clients. The rest are affected through traffic shaping whereby when you try to download something using BitTorrent, you’ll notice that the download speed is horribly slow, even if the torrent is healthy with a lot of seeders. Another way to confirm that your ISP is throttling BitTorrent traffic is by running an 8 minute test at Glasnost. As you can see from the screenshot below, the seeders are twice the amount of leechers but the download speed is at a horrible 0.9KBps even after downloading for over 13 minutes. This is a clear indication that your ISP throttles your BitTorrent bandwidth. Unfortunately, bypassing BitTorrent throttling is not as easy as downloading and installing a free third party software. The easiest way to get through this restriction is through a VPN that supports P2P such as BitTorrent and does not keep any logs that can trace back to you. Even though there are many VPN companies that claim to allow downloading through BitTorrent, most of them keep log files that can trace back to you just in case the court wants the information of the downloader. After researching, we found 5 VPN companies that we can trust for downloading just about anything using BitTorrent while not being afraid of getting into trouble with the authorities. A nice offer by Mullvad is a free trial that is valid for 3 hours which is enough for you to test and determine the maximum download speed that you’re going to get from them. 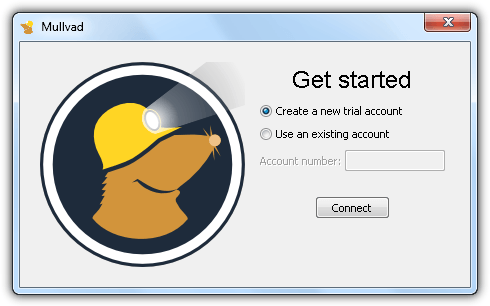 Simply download the client program, run it and click the Connect button at the initial “Get Started” window. We’ve tested the trial version of Mullvad and once connected to the VPN, the BitTorrent which we were downloading at only 1KBps is now downloading over 300KBps. 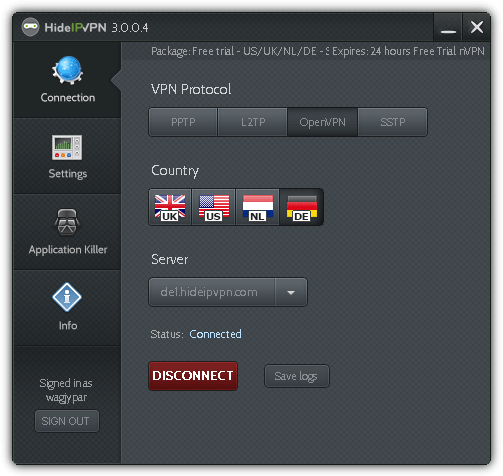 HideIPVPN is a VPN company from Poland. They have a package that allows P2P/BitTorrent usage and it cost $7.90 per month. Although they have VPN servers in 5 different countries (US, UK, Canada, Netherlands, Germany), it is important to know that only the Netherlands and Germany servers are allowed to use P2P. Using any other servers except NL and DE will get your account suspended without a refund. HideIPVPN offers a free 24 hour trial to test their VPN speed but it seems that some countries are restricted from signing up. A US based open proxy is able to easily bypass this restriction. HideIPVPN does not log user’s traffic and there is no way to identify who downloaded the pirated material since an IP is being shared with their users. If you would prefer a VPN company that offers connections from multiple locations, tigerVPN has 52 nodes in 38 countries. After talking to their sales department, they recommend using Romania, Frankfurt and the Netherlands VPN servers for BitTorrent downloading, although you can still do it on any of the available locations without getting your account suspended. Any DMCA takedown notice will not be complied by tigerVPN because they can’t identify which of their customers downloaded what, when and where at any given time. tigerVPN cost $9 per month or you can enjoy a 20% discounted rate if paid annually and they accept Bitcoin. Their 3 day money back guarantee only covers you for cases if you’re not able to connect, experience frequent disconnections or if their VPN node has an update of less than 95%. BTGuard is a well known VPN company that protects you while downloading using BitTorrent. It allows you to use BitTorrent anonymously with unlimited speed and bypassing any throttling by your ISP. 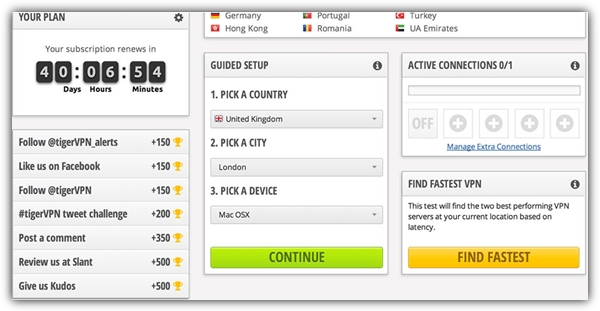 Other than just offering VPN services, you can find a cheaper option called the BitTorrent Proxy. The main difference between VPN and proxy is, VPN automatically routes all connections to the VPN server while proxy only routes the specific application that you’ve configured. TorGuard is a strong competitor of BTGuard, offering both VPN and Torrent Proxy at a slightly cheaper rate with more locations to choose from. BTGuard’s torrent proxy service costs $5.95 per month and automatically connects you to the fastest anonymous proxy server in over six countries. TorGuard does not keep logs of your traffic and downloads. However, they do record your billing name and address for billing purposes. Refunds are possible if requested within 30 days from the date of the purchase and not exceeding 10GB of bandwidth usage. Additional Note: Other than using the VPNs listed above to safely download using BitTorrent without getting into trouble, you can also use seedbox or even AllDebrid which is almost like using a seedbox since it helps you to download the torrent that you want and convert it to Uptobox file sharing links. Mullvad is the best!!! Thanx for an awesome post and advice.